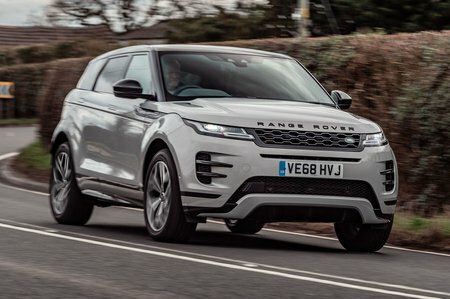 Range Rover Evoque Performance, Engine, Ride, Handling | What Car? So far, we’ve only tried the range-topping 2.0-litre diesel (badged D240) and the entry-level 2.0-litre petrol (called P200). The D240 gets 237bhp, so you’d expect its performance to be pretty rapid, and it’s certainly more than adequate for a family SUV. However, its acceleration never feels quite as urgent as you might imagine, which makes us wonder if the less powerful diesels, particularly the entry-level D150, might feel a little lethargic. The P200, meanwhile, is impressively smooth and, while performance is down compared to the D240, it’s actually quicker than all the other diesels. Admittedly, it’s down on pulling power, but it’ll still easily manage motorway overtakes and it’ll haul you up a rocky incline without a struggle. All versions of the Evoque (apart from the D150 diesel) come with a nine-speed automatic gearbox as standard. This can sometimes be a little dim-witted during low-speed manoeuvres and when pulling out of junctions and onto roundabouts, but gearshifts are smooth and snappy when you’re on the open road. 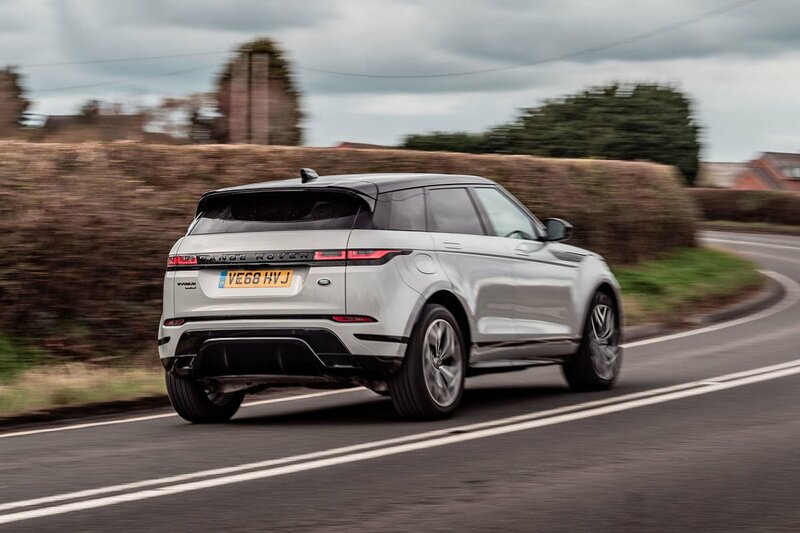 On 20in wheels and passive suspension, the Evoque is impressively comfortable on UK roads. It can feel a little on the firm side around town, but at speed the ride smoothes out nicely. On enormous 21in alloys and adaptive suspension, the ride isn’t perfect. Things become a little bit choppy along uneven roads and there’s a noticeable jolt over sharp ridges and potholes. But the Evoque still proves comfy enough and we’d be very surprised if sticking with smaller wheels didn’t make it even more so. It’s no Porsche Macan through the corners, but compared with many of its direct rivals, including the Volvo XC40. the Evoque handles pretty tidily. You don’t get too much body sway and there’s a fair amount of grip. The steering is also accurate, appropriately geared – not too slow but not too quick – and gives you a reasonable sense of connection with the front wheels, no matter what speed you’re doing. You’d expect a Range Rover to be jolly good off road, too, and sure enough, the Evoque can tackle terrain that would leave an XC40 flummoxed. Its Terrain Response 2 system can automatically tailor the car’s four-wheel drive setup to suit the surface you’re driving on; it also has more ground clearance than most rivals and can wade through an impressive 600mm of water (150mm more than an XC40). The D240 engine is fairly smooth for a four-cylinder diesel, but does get a bit noisy when you work it hard. The P200, meanwhile, is similar. It’s smoother and quieter at low speeds than the diesel, but ask a lot of it and it can get a bit gruff at the top end. 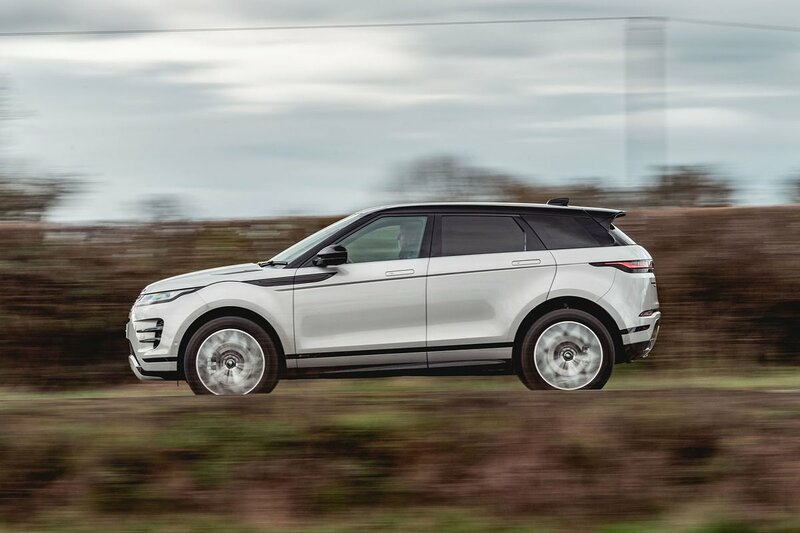 The Evoque is a relatively peaceful cruiser in other respects, though, generating a lot less road noise than the XC40 or BMW X1 on the motorway. There isn’t much wind noise, either, although you can hear the suspension working away along pockmarked roads.